Our mission is to promote the art and science of health information management through education and networking. HIMANYC is a regional professional association affiliated with the state organization New York Health Information Management Association (NYHIMA) and the national organization American Health Information Management Association (AHIMA). Welcome to the Health Information Management Association of New York City. We welcome you to explore the website to network, visit our social media sites, share innovative ideas and take advantage of the educational resources that are available. Our mission is to provide and promote skilled and knowledgeable health information professionals to ensure the needs of our members and prospective members. With the vast amount of changes with the healthcare profession, we will continue to adapt to the robust environment and ensure the association provides the education to all of our members. 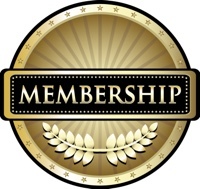 Please join us for the 2018-2019 membership year which runs from July 1, 2018 – June 30, 2019.